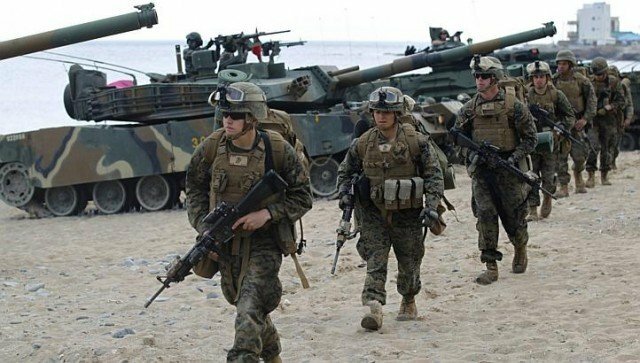 South Korea and the United States have begun a new round of joint military exercises on Monday, officials say, the second round to take place this year. Thousands of soldiers are taking part in computer-aided drills designed to test defense capabilities. The drills, known as Ulchi Freedom Guardian, are expected to last for 12 days and mobilizes about 50,000 members of the South Korean military and 30,000 US servicemen, reports Yonhap news agency. They are intended to help “ensure stability and security on the peninsula and reaffirm the US commitment to the north-east Asia region”, says a statement from the United States Forces Korea. The drills come as tensions are starting to ease in the peninsula. On Sunday, North Korea agreed to a South Korean proposal to resume in September reuniting families separated since the 1950-1953 Korean War. Many families were separated at the end of the war by the dividing of the peninsula. The two sides remain technically at war, because the conflict ended in an armistice and not a peace deal. The last reunions were held in 2010. Last week, officials of the two Koreas also reached an agreement about re-opening the Kaesong joint industrial zone – the last functioning inter-Korean joint project and a key source of revenue for Pyongyang. The Kaesong Industrial Complex, which lies just inside North Korea, is home to 123 South Korean factories which employ more than 50,000 North Korean workers. North Korea withdrew its workers in April, angered by the expansion of UN sanctions after its February 12 nuclear test and annual US-South Korea military drills. The accord came after six rounds of talks ended unsuccessfully.